As ACH becomes an integral part of a property manager’s routine, the tools provided by Rentec Direct to send and receive by ACH are pushing the curve. 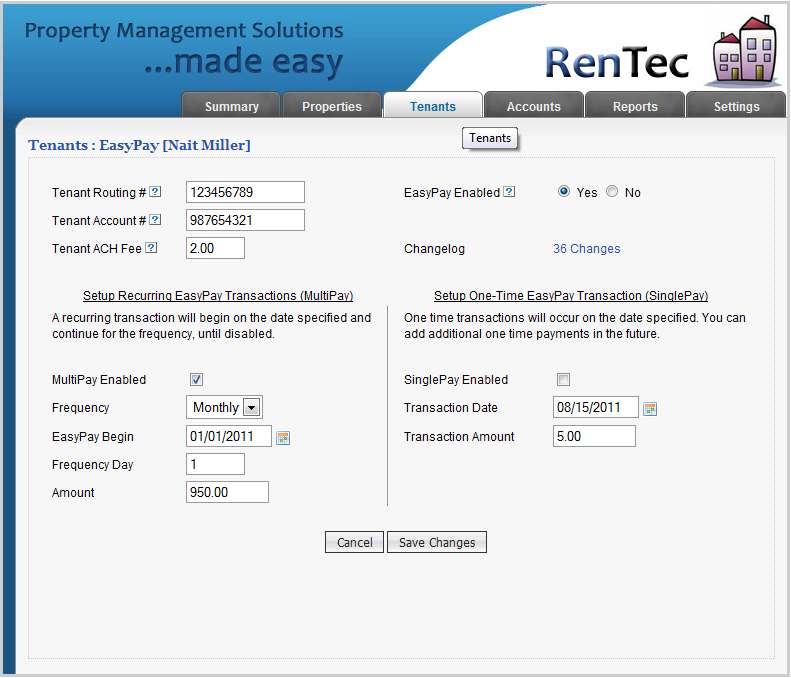 Rentec Direct property management software expands their ACH support to include full outgoing ACH support with interactive reporting to show every step of the electronic payment. We are literally saving property managers days of work. ACH is becoming an integral part of a landlord’s life, and the right property management software makes the process so much easier. Rentec Direct is expanding ACH support for property managers and landlords to include full inbound ACH for rent collection and also outgoing ACH and reporting for paying owners. In the past, a property managers would print out an owner statement, stuff it in an envelope along with the owners payment, and add a stamp. This was both a time consuming and expensive process. Today, with ACH enhancements inside Rentec’s property management platform, a couple clicks takes care of that whole process electronically and instantly. The owner statement is emailed to the owner in a commonly recognized PDF format, and the funds are sent into the owner account by ACH. No paper wasted, no stamps, and only a fraction of the time is involved. Reports show where the electronic ACH process is every step of the way. 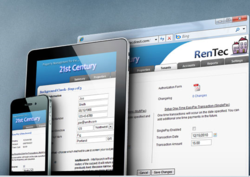 Rentec Direct provides rental software solutions for managing rental properties. Other popular solutions offered by Rentec Direct are tenant ACH payment processing and tenant screening, and online syndication of vacancies to more than 20 popular websites.